This is the start of a marvellous ascent of High Street. 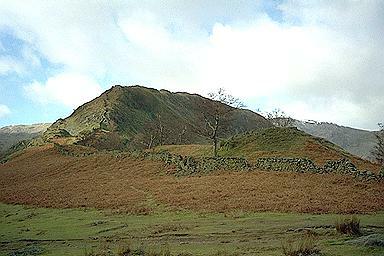 The path in the foreground is one of at least three from this area to Swine Crag. Walk further to the right for good views of Haweswater and you'll find another to the right of the wall. High Street appears in the distance to the right. Larger version of this picture.